Are You Ready For A Phantom Stock Plan? The tools in this section of the website can help you discover important information about how to use phantom stock to grow your company. 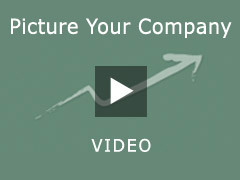 Find out whether your company is ready for a plan. And if so, what type of plan will work best. You can even begin to imagine what your future company might look like and how much value can be shared with your employees. Answer ten straightforward questions and our assessment tool will advise you on how ready your company might be for a phantom stock plan. It will point out reasons to consider moving forward as well as potential issues you may have to address. For a phantom stock plan to have a positive impact you need to be able to share value that is meaningful. This tool will help you do a quick assessment of the kind of value that may be available to be shared with your employees. There are nine different types of long-term incentive plans that you can consider. Some involve actual equity while most are cash plans – such as phantom stock. This decision tree can help you determine the type of plan that may work best for your organization.